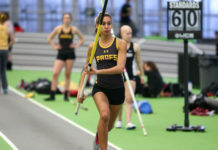 All season long, head coach Gabby Lisella has said that her team can’t take any opponent in the New Jersey Athletic Conference (NJAC) lightly. If you do, you’ll get taken down. Rowan’s loss to Stockton last week perfectly summarizes the danger Lisella had warned about. The 5-15 Ospreys came into Glassboro and handled the Profs 58-52 with ease, outscoring the home squad by 16 in the second half. It just goes to show that games are not played on paper. And this one wasn’t pretty on the postgame score sheet. 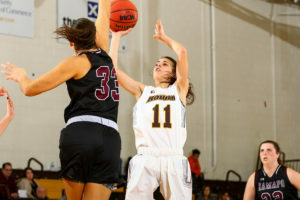 The Brown and Gold played one of their worst games of the season, looking nearly ineffective on offense, shooting a margin over 30 percent from the field and a smudge under 22 percent from deep, going 5/23. Stockton would also be inefficient from the field as well, but shot a killer 80 percent from the foul line, going 24/30 compared to Rowan’s 7/12. 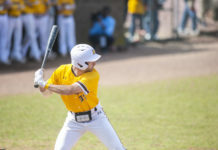 But it wouldn’t stop there, as the Profs traveled to Montclair State University in a battle amongst two top-three teams in the conference this past Saturday with a chance to get back on track. Unfortunately this time, the shooting percentages from deep and the field total were just as bad. It was the first time since Jan. 9 that two or more players didn’t score at least 10 points. “We got frustrated [that our shots weren’t falling] and that affected us on defense,” Lisella said. 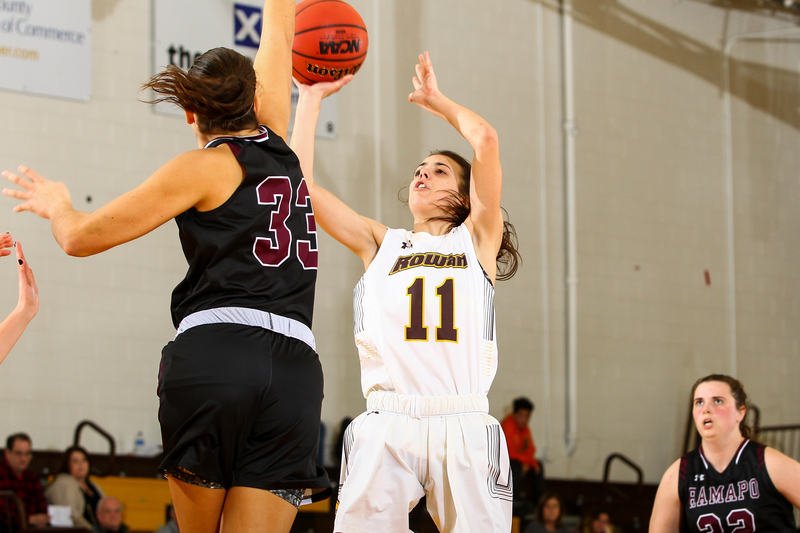 Rowan’s defense simply were not able to do enough and it didn’t help that starting center Ayanna Johnson fouled out for her fourth time this year. Still, when all of the dust has cleared, the Profs are still top three in the NJAC. With just three games left in the regular season, Rowan can control their own destiny. Sitting in second place, winning out would guarantee the Brown and Gold perhaps a much-needed bye in the NJAC Tournament.